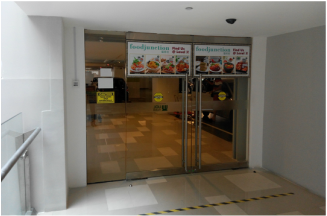 Reliable open and close doors may sound simple but this requires highly sophisticated technology. 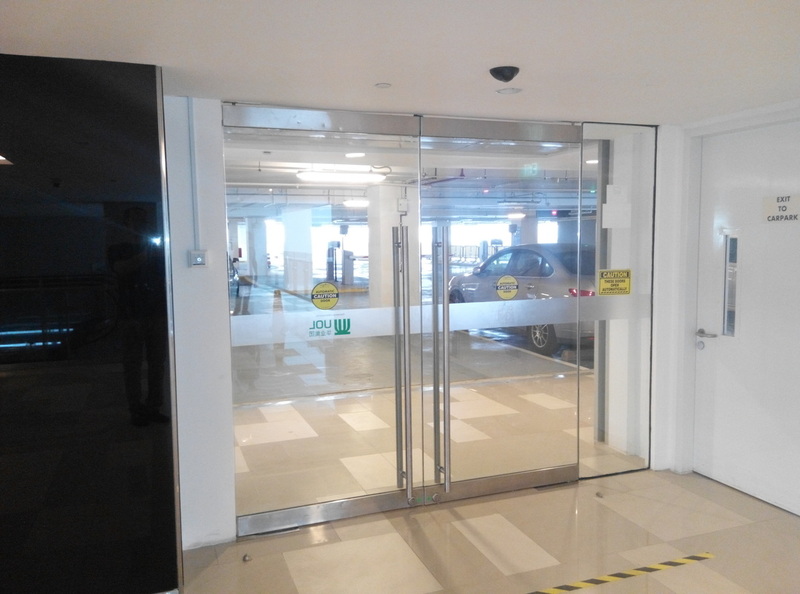 The swing door system TSA160 makes sure that everything runs smoothly, day after day from second to second. At the same time it offers a maximum convenience and safety. The swing systems TSA160 easily cope with the frequently tough duties of everyday functions, whilst maintaining safety. Where it is too cumbersome to operate a door by hand, the swing door system TSA160 takes over the job. This provides particular benefits in shops and department stores, hospitals and schools, in homes for the elderly or disabled, as well as in airports and railway stations. Where doors shut quickly, safely and tight, we can of course also expect a significant contribution to energy savings. 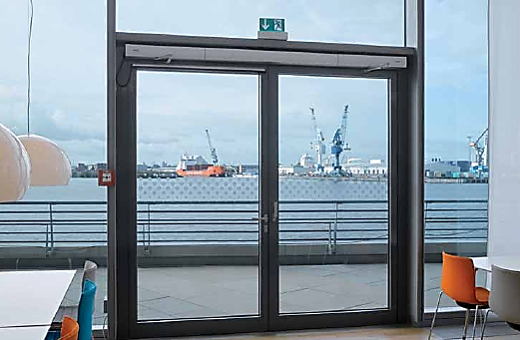 Therefore, the tried and tested TSA160 system is frequently used for lobbies, entrances to workshops and cool rooms as well as for doors at the end of corridors. 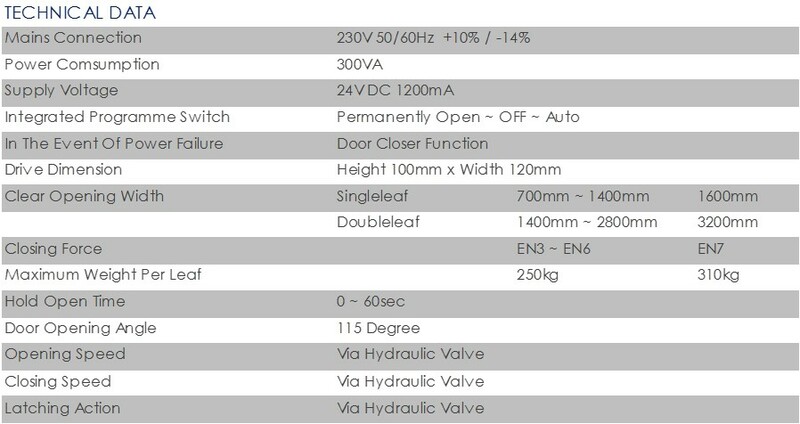 Likewise, where the highest demands are placed on hygiene, the ACCESSCO swing door actuators are frequently found. The ACCESSCO actuators are the trusted solution for safety at work, access control as well as interlocks and of course this system fulfils the regulation DIN 18650. An additional safety feature are the ACCESSCO safety sensors, which control the opening and closing action. These sensors will stop the movement of the door in time, if people, animals or movable objects are within the swing opening range of the door. In emergencies they can save lives. 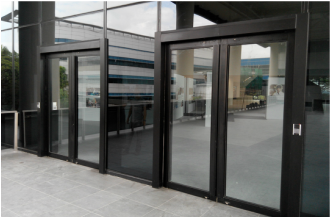 The swing door systems TSA160 is approved for the use on smoke and fire doors.